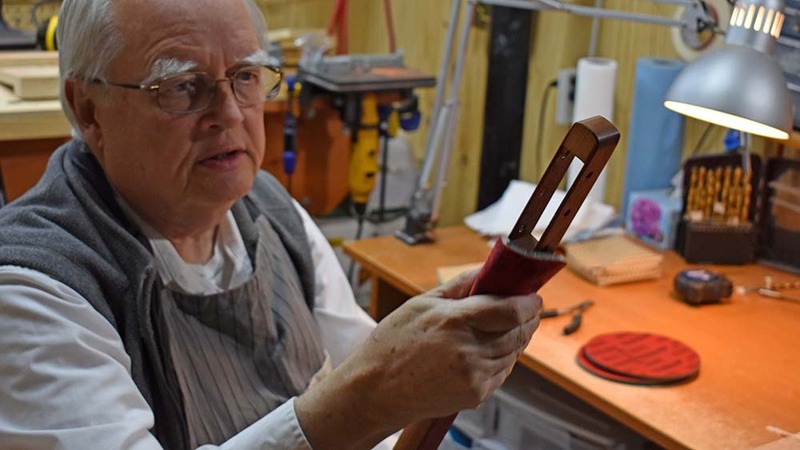 For Michael and Huguette Sedore, the stick dulcimer has become a home business and a labour of love. 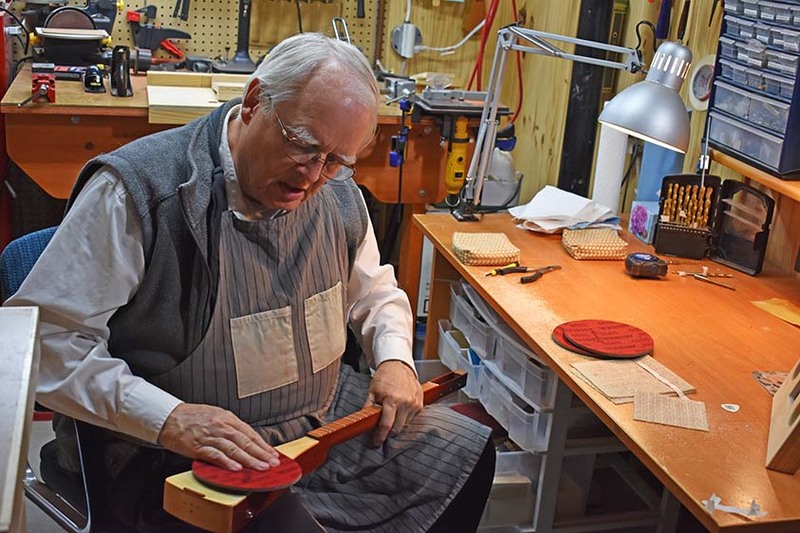 At half the size of the classic six-string guitar, the couple have been making and marketing ‘stick’ dulcimer for about three years now. They started by making them for fun, and were urged by their friends to sell them. 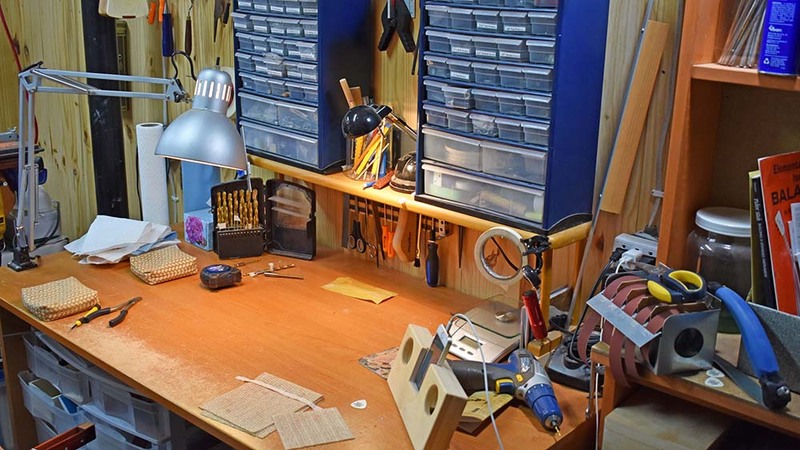 Sedore makes the instruments in his basement workshop, while his wife designs the displays, straps, and cases, and sells the instruments at craft fairs and artisan markets. 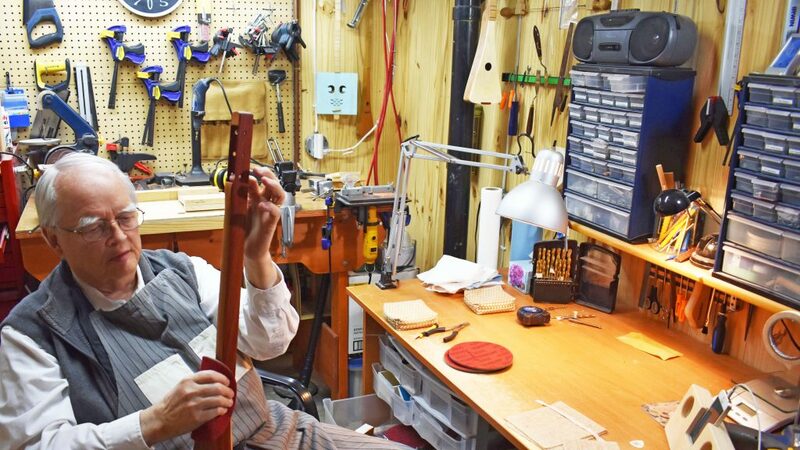 It takes Mike about 10 hours to make an instrument and each one is crafted with the utmost care and precision. Prices range from $128 to $313, depending on the style and complexity of the instrument. 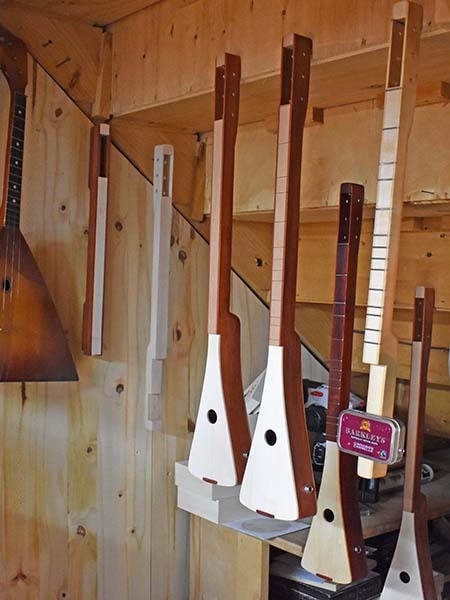 The sanding process is crucial to ensuring the instrument has the right feel and balance. “I like to sand it down enough that you can still feel the grain of the wood. I think people should be able to interact with the instrument. There’s a physical aspect that’s very important. When you play the instrument you feel the vibration in the wood,” Sedore says. 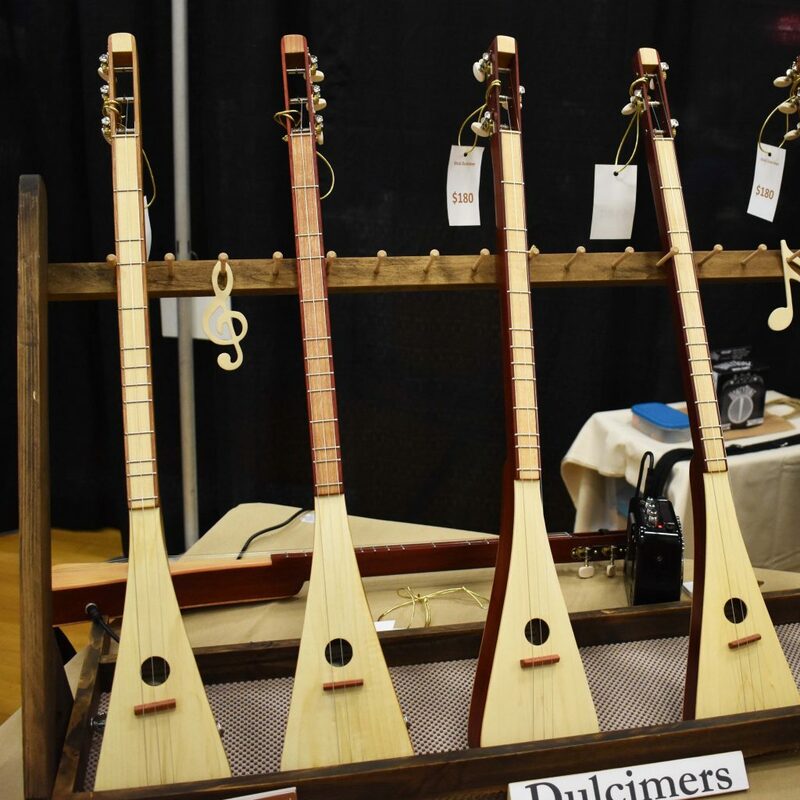 Its simple design and lightweight feel makes the stick dulcimer attractive for beginners. 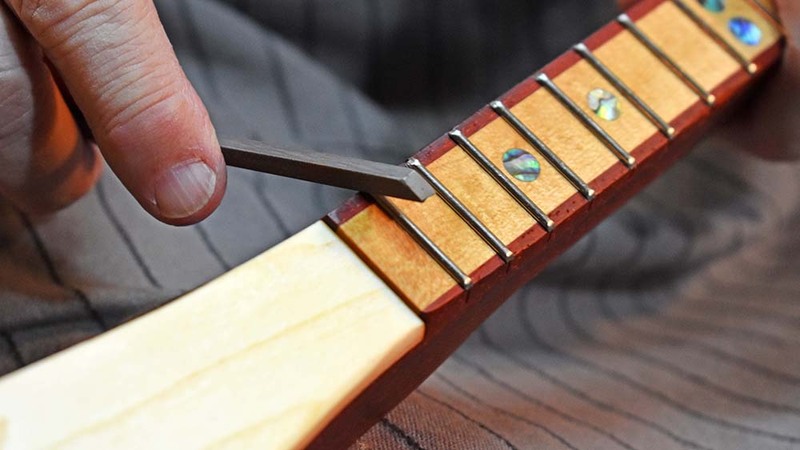 With a familiar looking fret board, it is like a guitar or ukulele, but it is even simpler with its fewer strings. 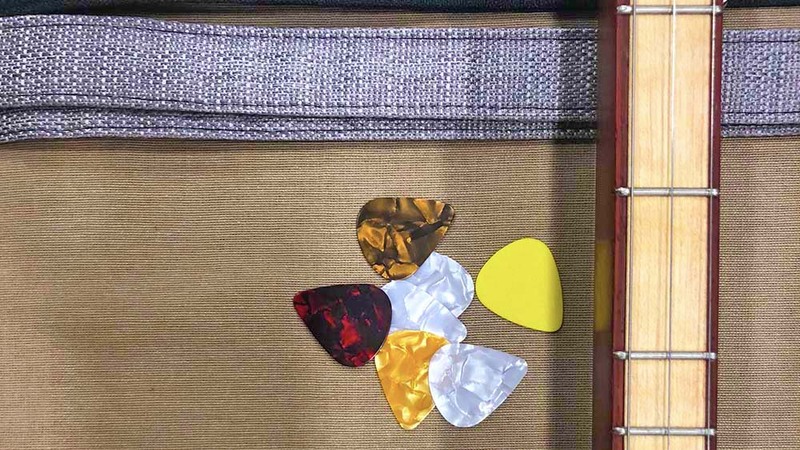 “Most people can play a melody within an hour of picking it up. 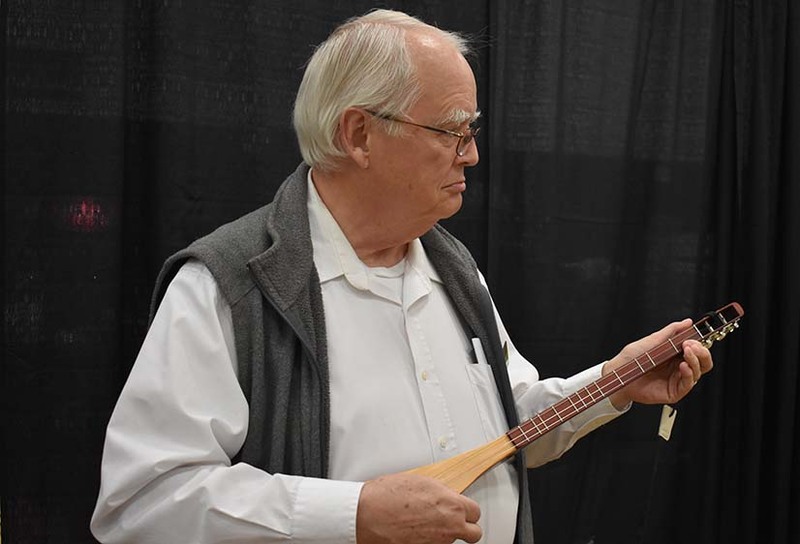 It’s a great instrument for everyone, because it’s hard to make it sound bad,” Sedore said. Sedore does experiment with new methods of creating sound. A little tin box is a quirky take on a traditional design. 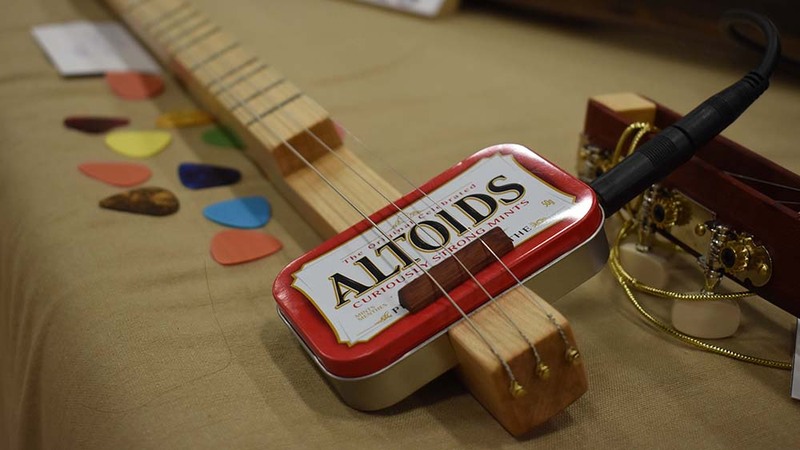 All Sedore’s dulcimers can be plugged into amps as well.